Atlanta, Ga. (January 29, 2019) – Lewis Brisbois is pleased to announce that former Atlanta Partner Rachel Krause was recently sworn in as a Fulton County Superior Court Judge. She was one of three judges sworn in by Gov. Nathan Deal in a ceremony on January 7, 2019, replaces Judge Todd Markle, whom Gov. Deal appointed to the Court of Appeals. 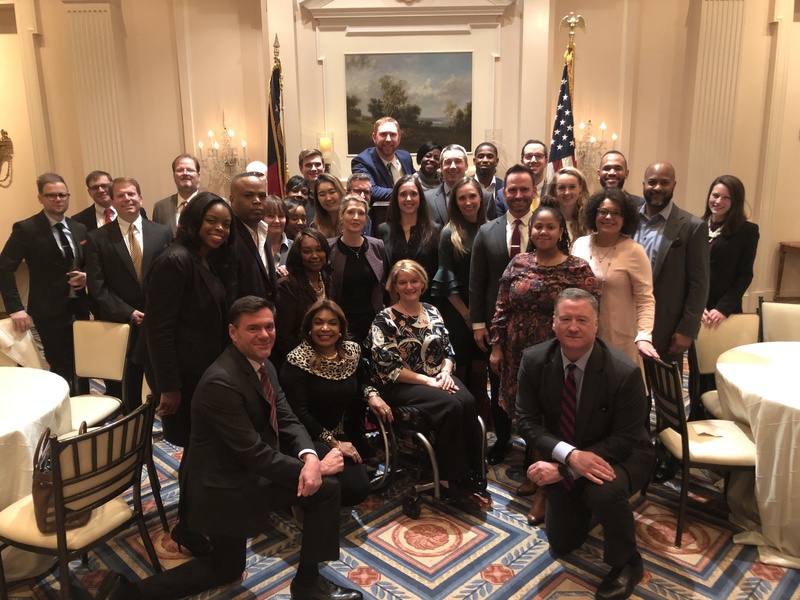 The Daily Report, part of Law.com, covered the swearing-in ceremony for their article “Deal Swears In the Final Three Judges of Legacy-Shaping Judicial Appointments,” in which they spoke to Krause about her journey to judgeship. “When you’re 17, you want to rebel,” mused Krause, whose mother, she said, spurred her on to greater efforts. “She said, ‘Don’t shoot for normal. Be more,’” said Krause, who was accompanied to the ceremony by her husband, Thomas, and three daughters. “He is also a Mercer Law School graduate … the best law school,” she added with a grin. Read the full article from the Daily Report here (subscription may be required).